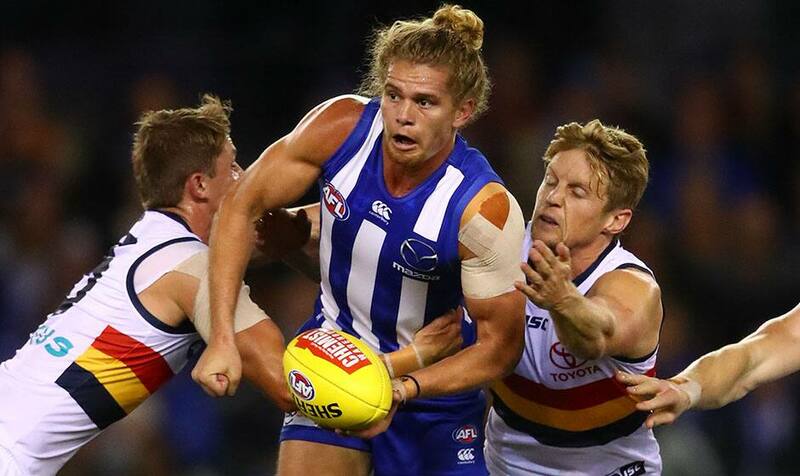 One passage in North Melbourne's two-goal victory over Adelaide on Saturday night summed up what Jed Anderson's return means for the Kangaroos. If that doesn't convince you, only minutes later Anderson dragged down Rory Sloane and won a free kick, leading to a breakaway play and a Ben Brown set shot at the other end. Anderson's absence owed to his latest hamstring injury on February 13 in North's City vs Country intraclub game – it happened while he was again laying a tackle – and it lingered longer than expected. One man doesn't fix everything, but Anderson was the remedy to many of the Kangas' problems, even if he was having none of the talk he was their lucky charm. "I just came in and did my job," Anderson told AFL.com.au. "The boys played well and we brought our brand of footy. It was an intense game but we hung in there and got the win. "It's been frustrating (not playing), but I knew if I got my body right and worked hard on the sidelines, when I did come in I'd have an influence." It's more of the same from a player whose career trajectory has changed dramatically in the past 13 months. Injury was a constant theme before that and the 25-year-old previously wasn't making a great impact when he was on the field, in part because of that. Anderson voluntarily attended North's high-altitude camp in Utah ahead of that setback – paying his own way – in a sign he wanted to fight for his list spot entering a contract year. "I just took a step back and whatever happened, happened," Anderson said. "I wanted to play well and train well, and Utah really set that up going into last year and really built that confidence in my game and my ability – and I built from there. "Scotty (Brad Scott) and the coaching staff backed my ability and it all came together. Playing in the midfield sort of helped that." Scott admitted as much on Saturday night as he reflected on Anderson's rise from fringe team member to critical component. 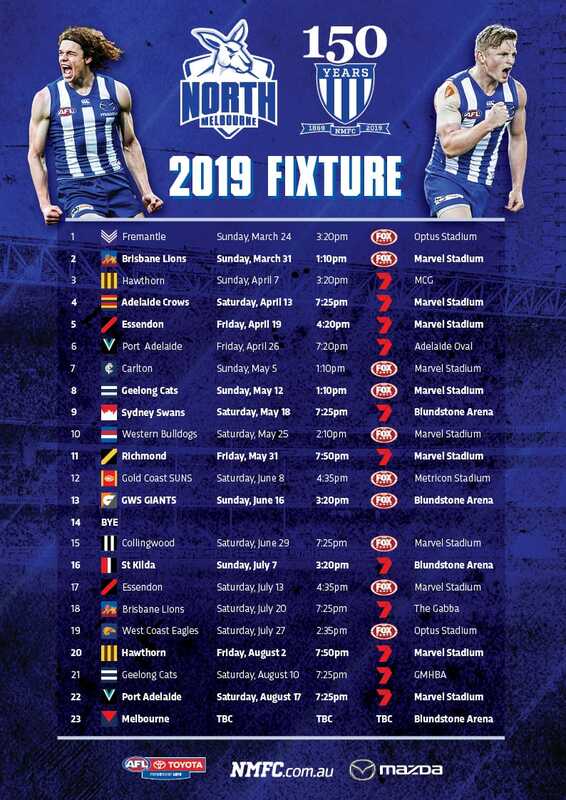 The coach's decision to select the Darwin-raised midfield bull in his round one side last year, off little match preparation, was the first plank in that support. "When Jed Anderson's around the ball, the opposition knows that," Scott said. "We got Jed back to what he was good at (last year) and moved him into a midfield role, which he's really relished, and he's worked hard on his fitness as well and now he's covering the ground really well." "When we turn it on like we did (on Saturday) and really grind it out, and play that tough, hard footy, the belief's always there," Anderson said. "Everyone wrote us off last year and we're backed into a corner at the moment, but we're just concentrating on ourselves and our game will come out in the end."